View from the the refrigerator toward the pantry and living room. 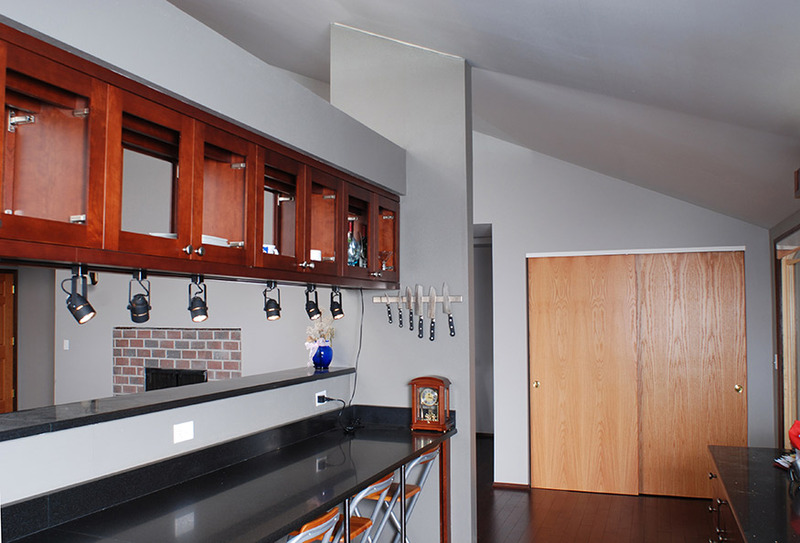 The kitchen also has a vaulted ceiling. Lighting over the cabinets makes the kitchen bright.